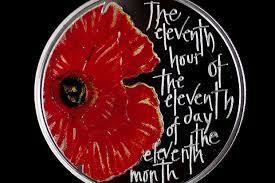 On November 11, 1918, at the 11th hour of the 11th day of the 11th month the First World War came to an end. Much of the war had been fought in dug-out trenches across Belgium and France. It is thought that about 9 million soldiers lost their lives, and about 27 million were wounded. During the First World War, the soldiers in their dug-outs could see red poppies growing in the fields of Flanders. 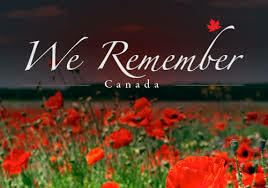 As you wear your poppy this year, please remember the countless soldiers that have given their lives for us, whether in the First World War, Second World War, Korean Conflict, the many peacekeeping missions, or the past/current conflicts in the Middle East. We must honour and thank them for our safe and peaceful country. Please also remember the horrors of war. The horrible destruction it brings to soldiers and civilians. It may sound simple, but if we could only follow Jesus Christ and his model of love and forgiveness, war would not exist. Please remember and thank all those who gave so much for us to live in the best country in the world. More importantly, please pray for peace. Peace in our own learning community of Our Lady of the Assumption School, peace in our country, and yes, world peace. 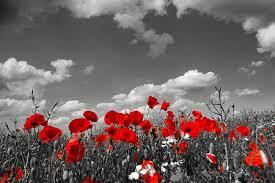 On November 11th wear your poppy, honour our fallen, but please pray for peace. With regard to our Provincial Achievement Test Results, our results are following a trend. This trend can be explained by the increasing number of students being excused by parents. I respect parent’s right to excuse students. Any excused student is assessed a zero mark and is included in our results. You can click on this link Our Lady of the Assumption School Accountability Report Card for detailed results. Even though Our Lady of the Assumption School is a terrific place, we will continue to strive to improve our school. Pope Francis reminds us of our call to be merciful. “Blessed are the merciful, for they will be shown mercy.” (Matthew 5:7). Let us work together in the spirit of Catholic Education to make Our Lady of the Assumption School an ‘Island of Mercy’ for all members of our learning community.